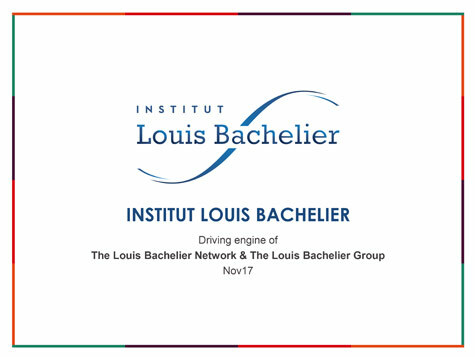 The Institut Louis Bachelier provides analysis and clarification of economic and financial issues with a view to understanding and anticipating them better. Redefining sustainable and responsible finance models in the framework of the le cadre du Louis Bachelier Laboratory of Excellence (LabEx) and Equipment of Excellence (Equipex). Making recommendations for public policy on the basis of academic work. Enabling the public authorities annually to select and sponsor academic work of excellence. Provision of interaction with researchers at scientific events (Financial Risks International Forum, Market Microstructure, Scientific Mornings). Sharing and making accessible research findings through publications.